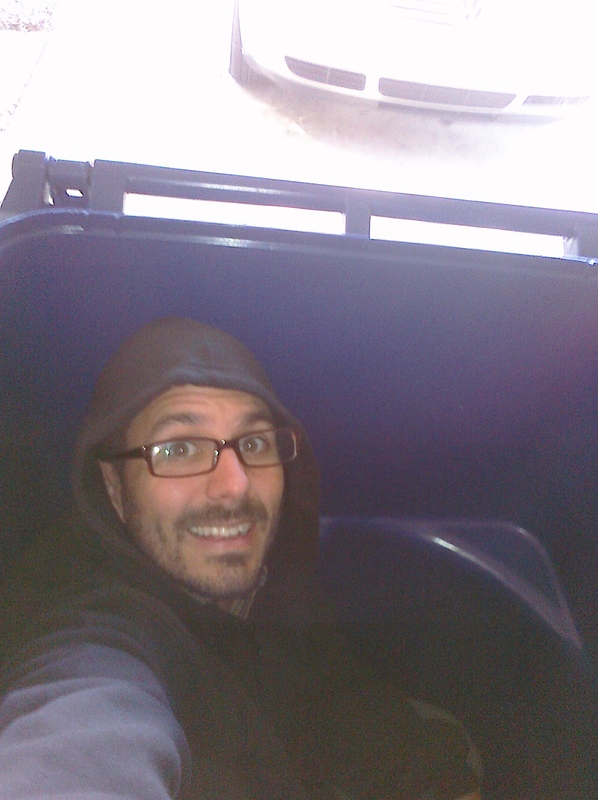 When I drive down my street on garbage day, I’m always amazed at how people can fill this huge container two times a week. What do they put in there? And why? I just weighed my kitchen garbage bin and it was 1 lb 1 oz (net). It’s almost ready to empty, but I probably have a few more weeks to go. Based on some back of the envelope calculations, I’d estimate that my monthly garbage production, including what I generate at home and at work, is somewhere in the neighborhood of 3-5 lbs per month. The US average in 2007 was 4.62 lbs per day, that’s per day, not per month, like in my case (Source: here). So, what are the different things that I do to keep my garbage production down? What follows is a summary of the most important things that come to mind. Compost. 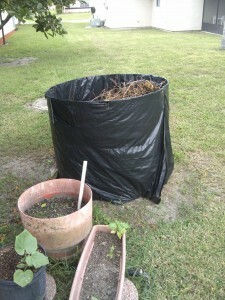 Regardless of where you live or what kind of available space you have, composting is a possibility. Vermiculture. This is a great way for people with limited space to reduce what they put in the garbage bin. I’ve had my worm tower going for over five years and I couldn’t be happier with the results. 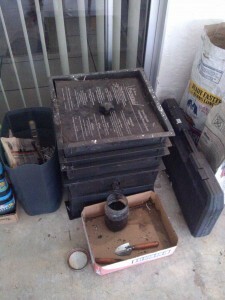 Look for a follow-up post with additional details on my worms and vermiculture in general. Traditional. There are certain times of the year when I generate too much organic waste for my worms to handle. There are also times when I have things that the worms don’t particularly like. This is when I use the outdoor compost. I mainly use the outdoor compost for yard waste, but it’s nice to have an additional place to put kitchen waste when the need arises. If you have a yard and you’re actually giving away your yard waste, think twice about giving those nutrients and organic matter away, it would be better served to stay in your yard instead of going to a landfill. Packaging. 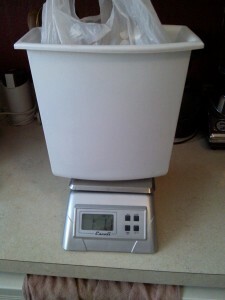 Next to composting, I think this is the biggest thing that allows me to generate so little garbage. Before I buy something, I always ask myself if the packaging is recyclable or not. Some exceptions to this that I feel guilty about purchasing are heavy cream, snacks in those plastic/foil bags, the mesh bags that potatoes come in and probably a few others that I’m forgetting. Reuse & Recycle. These two are obvious ones that most everyone probably already does, so I won’t say much here, but I’ll try to post here in the future on some of the more uncommon reuse and recycle techniques that I’ve come to use. Bones. Well, these eventually make it to my garbage can, but before they make it there, I try to get as much out of them as I can. Every time I eat something with a bone, I save it and put it in a container that I keep in the freezer. When I’ve got enough of them, I dump ’em in the pressure cooker and make a nice broth out of them. 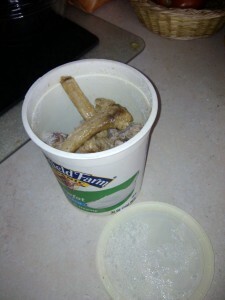 The spent bones then go in the garbage, but at least I’ve gotten everything out of them that my teeth weren’t able to. Smelly stuff. I struggled with this for a while and this originally forced me to take the garbage to the curb more often than I liked, but it just didn’t make sense to but a little bag in that huge garbage bin. So, I’ve finally found a way to control the smelly stuff, so that I don’t have to lug that thing to the curb so often. I use a produce bag from the grocery store and I jam the smelly stuff into the corner, then I twist the bag until I’m confident it’s sealed. I then grab the part of bag with the contents and push it back inside the unused portion. I repeat this process two or three times or until I run out of bag and then tie a knot. I can keep this in my little garbage can, pretty much indefinitely without any odors. 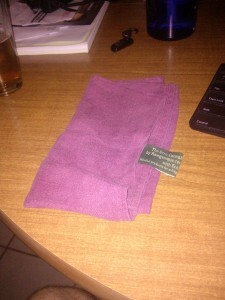 Cloth napkins and towels. It just makes sense to use cloth towels and napkins for most everything. There are very few things that I use paper towels for. The one thing that comes to mind is coating oil in my cast iron pan, cleaning up greasy stuff, and applying rain-x to my windshield. I’m not afraid to use paper towels, in fact, paper is a renewable resource, but if I can reduce my paper consumption and waste, I’m all for it. You might be asking, what actually does make it into my garbage can? Well, I thought about that as well and these are some of the things I came up with: hair from when I cut my own hair, used paper towels (I don’t use that many and I think a roll lasts me about 9 months), snack bags that can’t be recycled, non-recyclable containers, the stuff I sweep up off my floor (this should probably be going in the compost though), bones after I use them for broth, the absorbent pads that come with meat, waxed cardboard containers, beer bottle caps, dental floss and not much else. I know I’m a single person with no kids and my situation lends itself to less garbage production, but I do hope that some of the ideas I’ve shared might help you to generate less trash as well. This entry was posted in Home and tagged environment, garbage, garden, home by lespedeza. Bookmark the permalink.